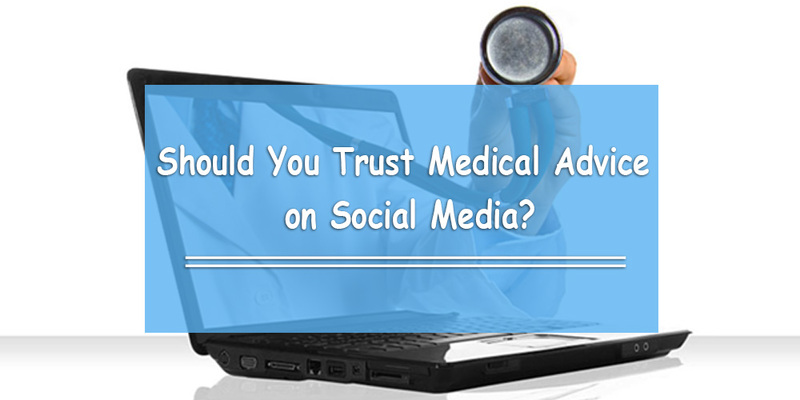 Should You Trust Medical Advice on Social Media? Be honest: have you ever came across a Facebook post for “How to lose weight”? What about other health-related topics like, “How to treat an infection without going to a doctor” or “The best way to treat cancer without chemotherapy”? It turns out that we tend to believe more ‘medical advice’ on the Internet than we should. This is not according to us. This is according to doctors in Abu Dhabi. According to medical experts, more and more people are seeking health advice online and on social media. This, they say, can lead to very ineffective – even dangerous – consequences. In 2017, there were two patients; let’s call them Sara and Mariam. Sara was a little self-conscious about her weight and wanted to lose a few kilos. She saw an article on Facebook about “How to lose weight.” It showed how this weight loss medication would help her lose 10 kilos in 2 weeks. After the first week, she noticed swellings all over her body within a few days. After finally going to the hospital a week later, she found out that she had kidney failure due to the pills she took. Another woman, Mariam, is pregnant and had Type I diabetes and was taking insulin. She came across a video on YouTube from a ‘medical expert’ claiming that insulin is not the right treatment and stopped it on her own accord. She later had to be taken to the emergency room because she developed complications related to low blood sugar. The stories above speak for themselves. However, doctors are becoming increasingly worried because they’re realizing how much social media has taken over their patients’ lives. Nowadays, people can share false information with a couple clicks of a button… and it’s even worse among youth! If a source has a large number of followers (or any other social currency), chances are your kids will take advice without questioning the integrity of the website or the sources from which they got the information. The truth is, unless you have a lot of experience in the area, you can never be entirely sure whether what you’re reading is completely accurate. Our first piece of advice is the most obvious one: get an expert’s opinion. It is important to be informed, but make sure you are informed by the right people. Don’t to confuse experience and anecdotal evidence with expertise. Someone could easily tell a story about how something similar happened to them so you should use the same treatment they did because it worked. Always get a second opinion by someone who is medically licensed to diagnose you. If you come across something online that you’re not sure about, don’t be afraid to consult with your doctor about it. Most of them are more than happy to answer any questions you may have and provide an explanation for you. You may scroll through you social media feed of preference and come across an article or a piece of advice that isn’t accurate. Word of advice: do not believe everything you read on social media. Make sure you read articles (and their comments) critically. You never know whether the person writing an article has a personal agenda or just doesn’t have enough expertise on the subject. It’s very easy to come across something that matches your beliefs online. You can find an article on any health-related topic and you will find an opinion that matches yours. Try to find a source you can rely on that is affiliated with a medical facility. It could be a medical journal, a hospital’s website, or even an individual doctor who is well-trained in their field.